at the turn of the 20th century. She lived a lifetime filled with change. First vacuum cleaner -- 1902. Women were given the right to vote -- 1920. Television was invented -- 1927. Segregation and racial oppression escalated. the Civil Rights Act in 1964. Vietnam, Nixon, Apple Computers, Sony Walkmans. Mother Teresa received the Nobel Peace Prize. 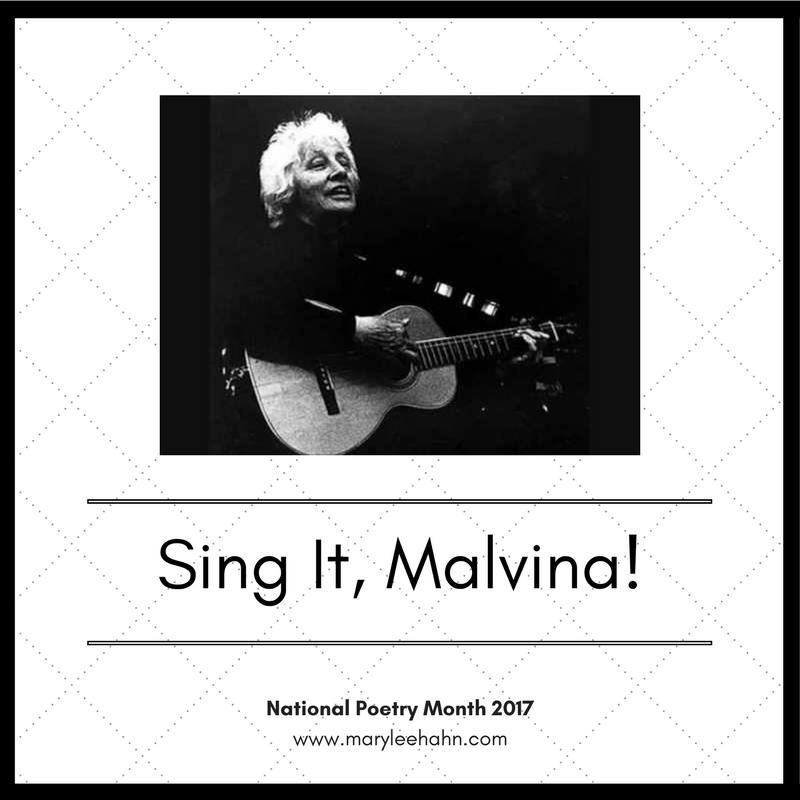 Malvina Reynolds lived a lifetime filled with change. Television, the year of my mother's birth. That's a whirl-world of change, that's for sure. I love that line "stood up and sat down". Was she connected to the '30s labor movement, too? I imagine she and Pete Seeger must have met up a time or two. Sorry for the delay in attending to this fascinating project, Mary Lee. I had never heard of Malvina, and her song is brand new to me, so I'm really looking forward to getting to know her. Are you using any models/mentor texts for autobiography in poems? It's a fantastic challenge!